Pressure and opposition against the proposed expansion of aquaculture pens in Liverpool Bay continues to mount with Kim Masland, the opposition MLA for Queens-Shelburne, tabling a petition in the legislature against the project. "We believe marine-based, fin fish facilities cannot be sustainably operated in a marine environment and therefore demand a permanent moratorium on this kind of aquaculture and request that all future fin fish aquaculture sites be only closed...land-based facilities," Masland declared on April 9 as she tabled the petition. The petition contained 658 signatures, and Masland told the house that she had signed as well. The petition calls upon the Nova Scotia government to withdraw the current option for exploration/expansion of Cooke Aquaculture in Liverpool Bay. On March 6, Kelly Cove Salmon Ltd., a subsidiary of Cooke Aquaculture, submitted an application to the Nova Scotia Department of Fisheries and Aquaculture requesting approval for the expansion of its current salmon far in Liverpool Bay from 14 cages to 20 cages, with the addition of two new sites of the same size. 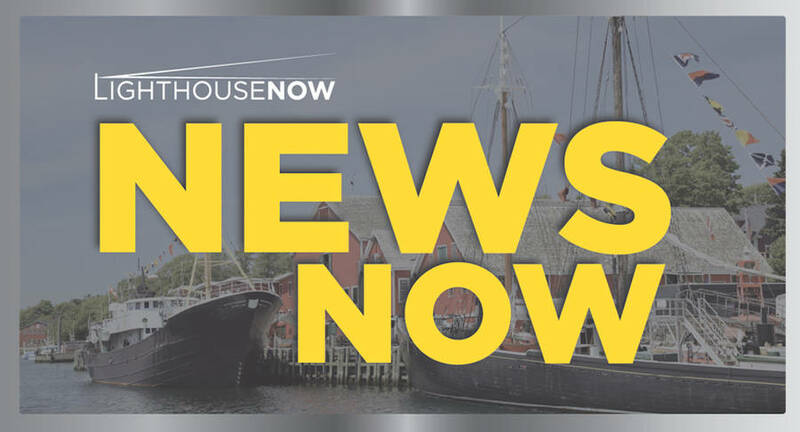 Responding to Masland's statement, Joel Richardson, vice-president of public relations with Cooke, told LighhouseNOW in an email that Kelly Cove Salmon views clean environmental conditions and a healthy ocean as key for Atlantic aquaculture operations. "We understand that our relationship with the environment is vital to producing top quality seafood. We view this as a significant component of our corporate social responsibility and we are working hard on our community engagement to educate and inform residents at every opportunity," Richardson said. Richardson noted that Kelly Cove has "successfully" operated an Atlantic salmon farm in Liverpool Bay since 2011 and asserted that the Liverpool Bay fish farm site has been operating sustainably with provincial and federal environmental and regulatory approvals and oversight for 17 years. During a recent Region of Queens Municipality (RQM) council meeting, protesters hectored council over the expansion plans, at one point causing Mayor David Dagley to snipe, "This is unacceptable in this council's chambers." RQM council has been in a quandary for weeks as to how to handle the conflict between the protesters and Kelly Cove. Dagley previously warned council that acting as an intervenor could cost the municipality up to $100,000. At that council meeting, councillor Susan MacLeod came down firmly against the expansion, calling for a land-based option. "This is causing a lot of negative feelings. In my opinion, silence is consent. If we don't say anything to the governing bodies, or our MLAs or the people that make these decisions, then we are approving what they want," she said. "I am not in favour of expansion, or any new sites in Liverpool Bay. I don't see enough economic benefits and I feel that there are other alternatives for this company, such as a land-based operation." But Richardson pointed out that in 2018 the company's Nova Scotia operations supported 309 local small and medium-sized businesses by purchasing $51.5 million dollars worth of goods and services and generated an additional 240 spin-off jobs for marine maintenance workers, truck drivers, hotels, restaurants, engineers, research scientists and veterinarians. "Our marine aquaculture operations in Liverpool Bay and along the Southern and Western shores contribute a lot to the areas economic and social well-being and are operated and accredited as sustainable." A group calling itself Protect Liverpool Bay (PBL) and claiming to represent some 300 local citizens and businesses is leading the fight against the fish farm expansion. PBL has set up a store front office in Liverpool as well as a goFundme page, where it hopes to raise $50,000 to help battle Kelly Cove's proposed expansion. To date, its goFundme stands at $3,072. Local resident Brian Muldoon, who has led the charge against the expansion, previously told LighthouseNOW that people "who care about our oceans, shoreline tourism and our local economy" are battling the expansion. "People don't realize what's under those nets. I didn't realize what happens underneath those nets. When you Google fish farms and you Google everything about them, there is no positive. There is the antibiotics and pollution from feces there that just don't wash away, it has to land somewhere." Richardson, however, said that Cooke Aquaculture was North America's first salmon farming company to be certified by a third-party eco label and pointed out that the Liverpool fish farm site is Best Aquaculture Practices (BAP) certified. Best Aquaculture Practices is an international certification program based on achievable, science-based and continuously-improved performance standards for the entire aquaculture supply chain – farms, hatcheries, processing plants, and feed mills – that assure healthful foods produced through environmentally and socially-responsible means, Richardson told LighthouseNOW. BAP certification is based on independent audits that evaluate compliance with the BAP standards developed by the Global Aquaculture Alliance. Added Richardson: "We look forward to the results of the technical review by the Nova Scotia Department of Fisheries and Aquaculture and other federal and provincial agencies, analysis from the network partners, and participating in the Review Board's Adjudicated Public Hearing."